With over 80 machines, over 5 colours and countless models this Harvest Weed Seed Control (HWSC) has been proven in the paddock. 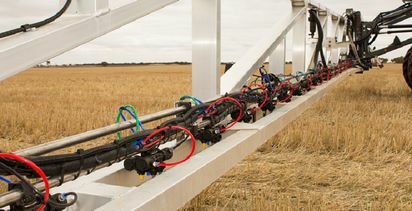 With three seasons under its belt and over 80 machines, this new Australian Harvest Weed Seed Control (HWSC) has been proven in the paddock, terminating weeds across farms in Australia and Canada. 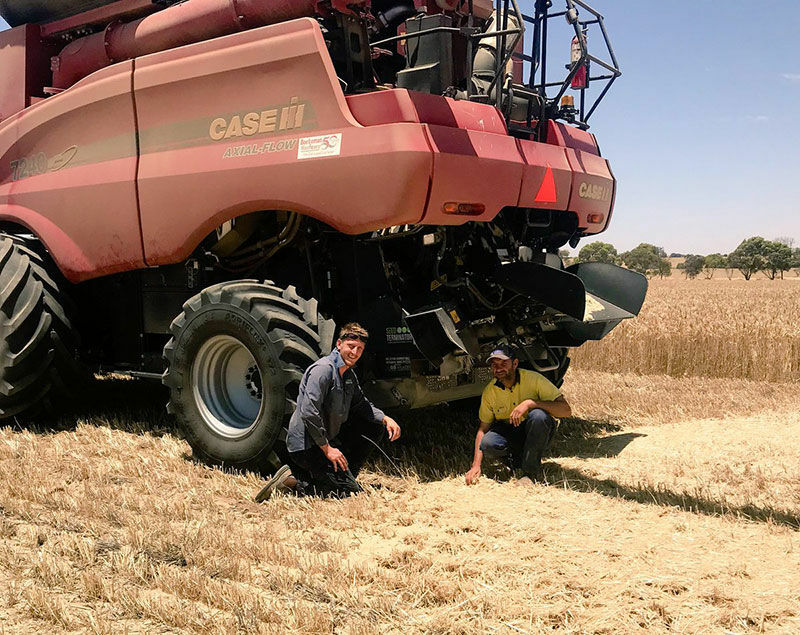 Weed and volunteer seeds present in the chaff material leaving the cleaning shoe of the combine harvester, are intercepted and pulverised using multi-stage hammer mill technology and then spread back on the paddock. 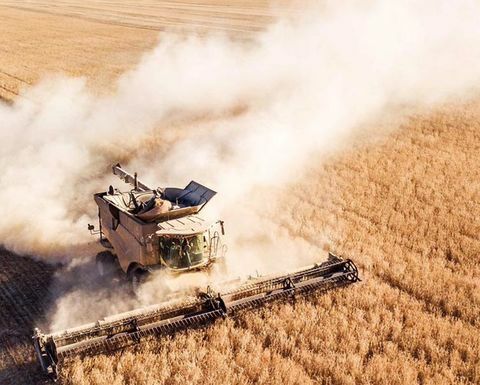 The feedback on 2018 harvest performance has been very positive, as Graeme from WA states "I have complete faith in the Seed Terminator journey, after seeing what they did making the driveline bulletproof in 2017 and then the reduction in power and wear in 2018, I can't wait to see what they come up with next." 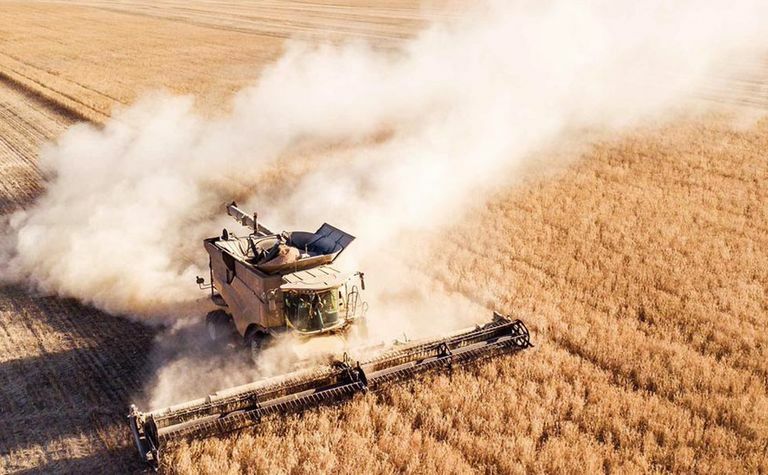 Last year Seed Terminator expanded the product range to include prototype models for Massey Ferguson and Claas Lexion headers as well as the existing solutions for Case, New Holland and John Deere which will be moving into commercial production for the 2019 season. When asked why he is so passionate about a colour blind solution, Dr Nick Berry states "we believe that everyone should be able to access technology that can help control their weed seeds." This is shown in their dedication to create a solution for two new makes in 2019, Nick states "Ben has been badgering me about making a Seed Terminator to fit his Massey Ferguson headers (9560) for two years. "The geometry is different on Massey (and CLAAS), so we had to create a whole new chassis design, driveline, the whole bit. We ended up doing two on two different models. It doesn't make sense economically because there aren't too many of them, but we get a great kick out of working with some great farmers to make a project like this happen. On the plus side they've had a really good maiden run this year." On the Claas Lexion fitup Nick says "Travis and I have been talking about fitting a Seed Terminator to his Claas headers since the beginning. There's been lots of scratching heads and measuring up and we finally made the call to do it last minute this year.After doing the Massey project I had no energy left for more R&D, then I spoke to Travis and he got me fired up again." Seed Terminator is looking for Claas Lexion and Massey Ferguson Farmer Research Partners to join the ongoing research into these models for the 2019 season and beyond. ^ South Australian Grains Industry Trust funded research into Weed seed control at normal operating speeds & settings. Stationary efficacy testing for Model Year 2017. 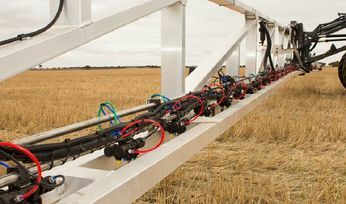 As well as having over 80 machines in the paddock working over the 2018 harvest, the technology has been tested and The Weed Science Research Group, a part of the University of Adelaide confirms that Seed Terminator consistently reduces germination of Annual Ryegrass by 96% compared to a control sample. South Australian Grains Industry Trust (SAGIT) funded independent research conducted by Trengove Consulting in 2017-2018. They found ryegrass weed seed kill was 93% at 2250 rpm and increased to 98% or greater at normal operating speeds (2500-3000 rpm). 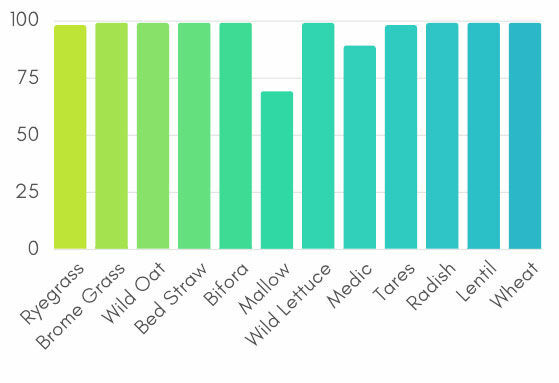 Results also showed 99% control of several other species including wild radish, brome grass, wild oat, bifora, bedstraw and tares and increasing chaff flow rate (harvest rate) did not reduce control of these species. As David Brunton PhD student at The University of Adelaide's Weed Science Research Group poignantly points out "think of what you will do in 5-10 years if we continue to rely on herbicides alone and are no longer able to control problematic weeds using herbicides due to resistance? Mechanically killing weed seeds is fundamentally important to incorporating non-herbicidal forms of weed control into our current farming systems." Hardi self-propelled sprayers will soon be available through Claas Harvest Centres in WA.